The footpath near Jantar Mantar, which is considered Delhi’s (and the nation’s) own protest plaza, has been seeing a demonstration that is bizarre by the usual standards of the place. Farmers from Tamil Nadu, not a state generally associated with agricultural distress, have been camping there since March 14 to demand relief – and they are not budging till concrete response comes. Over 200 farmers are learnt to have committed suicide in Tamil Nadu owing to crop failure and inability to repay debts. Call it agit-grotesque for want of a better expression, but the images from the protest site, as our photographer found, are hard to erase from the mind. 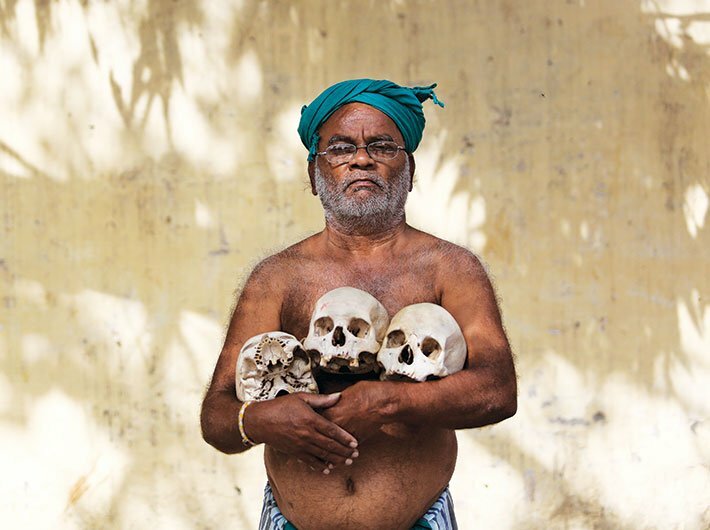 Here, skulls in hand and barechested, a farmer sears himself into public memory – hoping that the government will wake up to their misery. A votive ritual in temples of south India involves rolling on the ground in pradakshina. 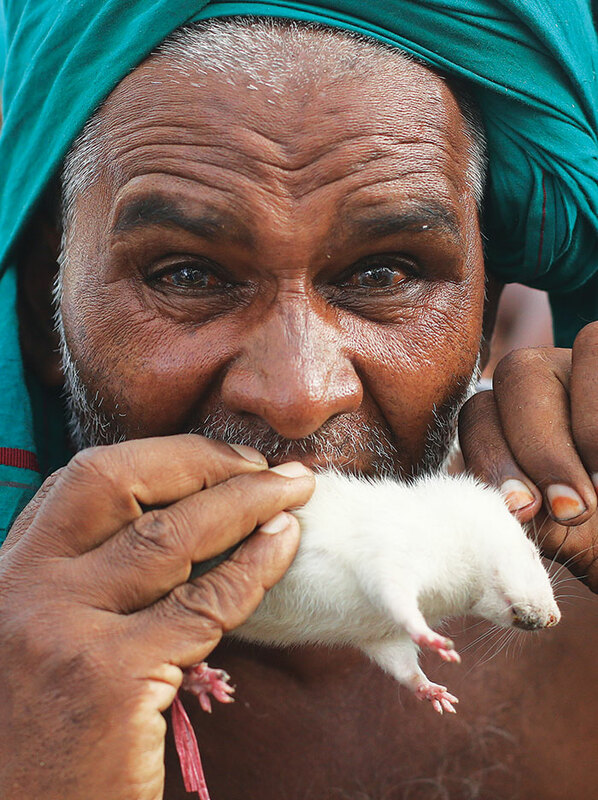 Farmers performed the ritual on harsh macadam to get the government’s ear. 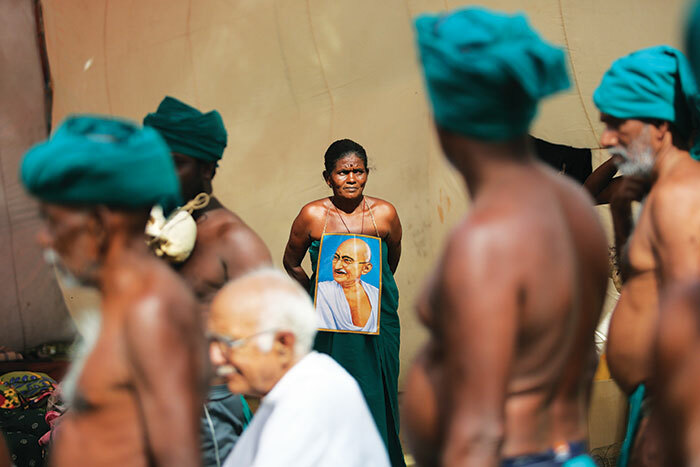 Invoking the Mahatma with a portrait strung around her neck, a woman protester joins farmers to highlight their troubles, caused by a failed monsoon and an impassive administration. 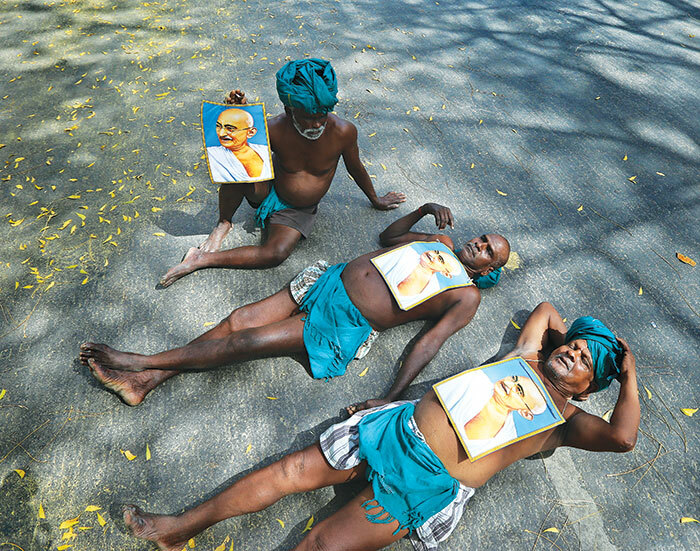 Among the protesters were many old farmers, many of whom were visiting Delhi for the first time. Their hard bodies spoke of years of ceaseless toil in the fields, their grim faces of its futility. 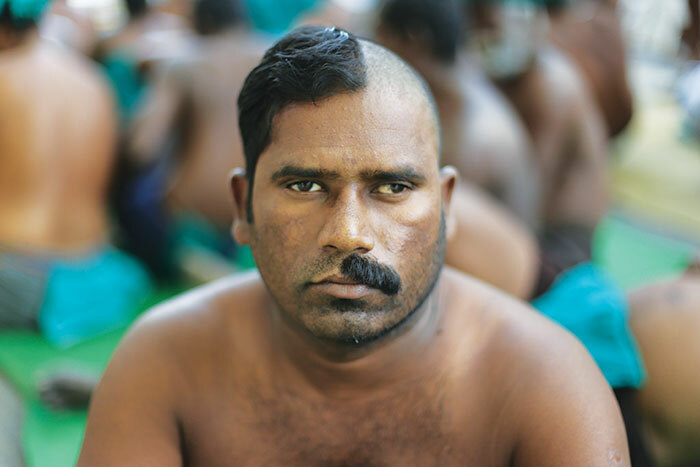 One farmer had half of his head shaven – and in strange symmetry, the opposite half of his moustache.